OHB Sweden is a provider of complete space missions, satellites as well as spacecraft subsystems. 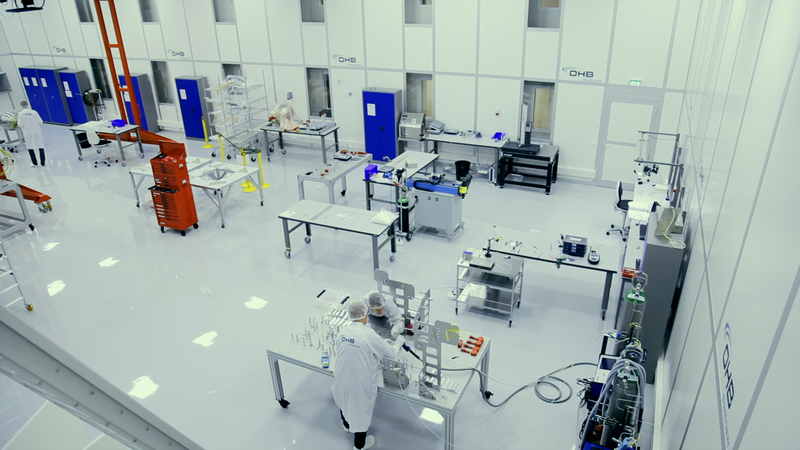 With more than 30 years of proven success from a wide range of space missions in low and geostationary orbit as well as spacecraft for interplanetary missions, OHB Sweden has acquired a first class reputation offering reliable and innovative solutions to its customers. Building its success on the passion and exceptional talent of its employees, its extensive knowledge base, and with a vision to contribute to all European space projects, OHB Sweden stands stronger than ever to take on new innovative space missions together with its ever growing network of partners and customers. A new and innovative satellite design that will meet scientific demands while maintaining a low price. In addition to the direct benefit to the Swedish science missions, this low cost satellite will be offered to the global market. Euclid will explore dark energy and dark matter, the essential but still mysterious ingredients in today’s “Standard Model’ of cosmology. OHB Sweden has been appointed as supplier of both the chemical propulsion system as well as the fluidic part of the micro-propulsion system for the satellite by the European Space Agency (ESA) and Thales Alenia Space in Italy. The Small GEO is a product line of general-purpose small geostationary satellite platforms. This new modular and flexible platform addresses especially the telecommunication satellite market and is compatible with the majority of commercial launchers. At OHB Sweden you will be working on exciting and innovative technological projects and frequently exploring new terrain. With more than 2,200 employees in the OHB AG Group spread over Belgium, France, Germany, Italy, Luxembourg, Sweden and the UK , we are one of the top players in the European space technology industry.